Some ad units, which can contain both an image, and text. These are great for pushing important aspects of the site. Set up a new advert group called "ad_units". Step 3. Shuffle elements or update styles to suit. For example, absolutely position the text of the advert so that it sits over the image itself, rather than below it, or position two adverts next to each other in a row. To create your advertisement from the Neto dashboard, navigate to Webstore > Advertising Campaigns. Click Add New Campaign button and select the type of banner you're trying to create. Select your Group that you recently created and optionally set a start/end date and press Continue. 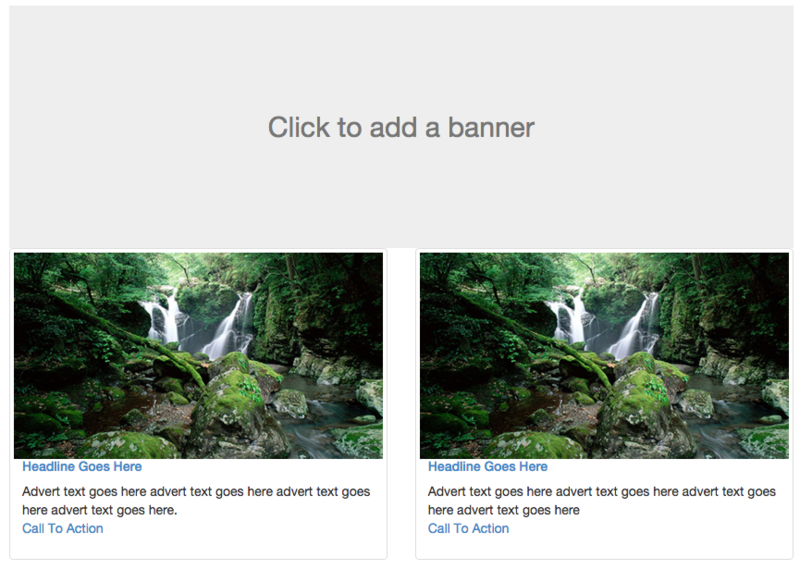 Within the Ad Builder add your headline, advertising text and any image you wish to use. Set your Call to Action link text and set a URL Link. Under Location ensure the location of where this ad is populated by clicking the Add button otherwise it will not display.